Masterbooks has been a family favorite publisher of quality books for years. 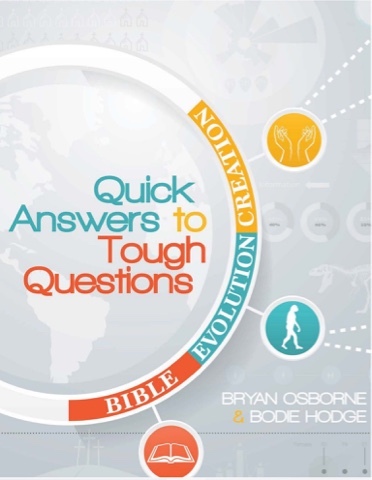 We just read their brand new book, Quick Answers to Tough Questions by Bryan Osborne and Bodie Hodge. This 88 page book can be quickly read, but it is packed full of answers that deserve lingering over. 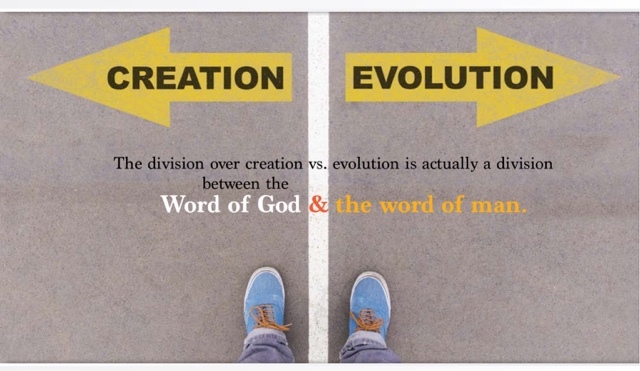 This book clearly teaches just what the Bible say about evolution and creation, from the viewpoint of Biblical authority. This book makes you ponder things such as what exactly was the root of the erosion of Biblical authority in America. Other viewpoints are also explained, as well as pagan roots in some beliefs. 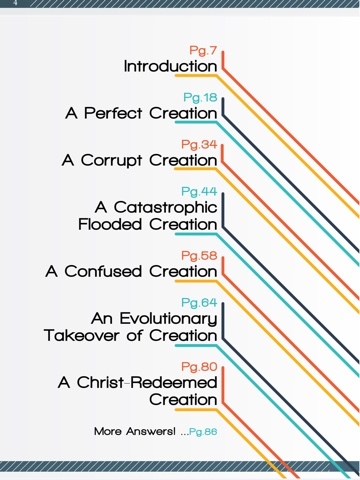 Each of the main chapters above are further broken down and clearly explained. The sub-headings on page 64, for example, ask more questions including science vs the Bible, missing links?, origin of life?, and more. "This bending, editing, and manipulating of the Word of God is a failed attempt to make it bow to the word of fallible, finite, sinful man." This isn't feel-good easy reading. It is thought provoking, and some questions are tough. "If the Bible cannot be trusted when it talks about history, why should anyone trust it when it speaks about salvation?" Why indeed? 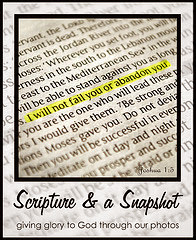 This book lines up with my personal belief that the Bible is the infallible Word of God, 100% true. I recommend this as a resource for anyone growing in their faith. It can be used to help you answer questions as well as to teach. Disclosure: a download of this ebook was provided for this review. A positive review was not required. This is my honest opinion.